For students in primary school, the culmination of their eight-year studies is the Primary School Examination (PSE). The years of study and hard work are tested with the PSE, and often, students find that they must prepare months in advance to do well. 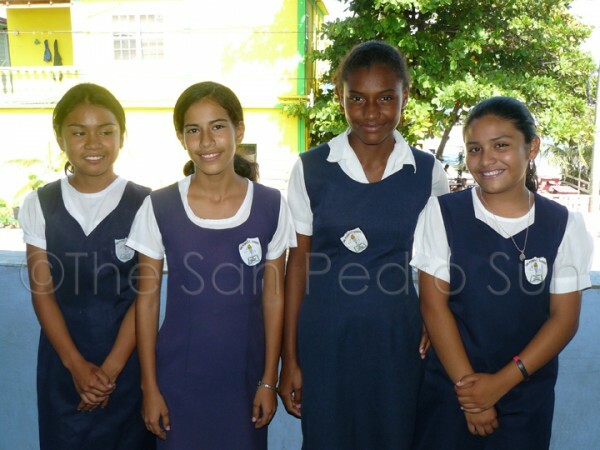 This year, the San Pedro Roman Catholic School (SPRCS) is proud to name one of its own as the top 4th scorer in the entire country of Belize. 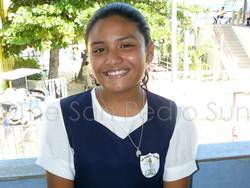 Alessandra Gutierrez, daughter of Amparo and Oscar Gutierrez, and Standard 6 student at SPRCS managed to score a total of 368 points out of 400, or 92%. This score puts Alessandra in fourth place countrywide. Holy Redeemer Primary School's Aliyah Marin topped the exams with a score of 385 points (96.25%). Placing second overall this year is Josette McGann of United Evergreen Primary with 376 points (94%) and Jordan Murrillo of Belize Elementary with 369 points (92.25%). Educational decision-making to inform policy, planning and practice at national, district, school and classroom levels. The PSE is not and was never intended to be used as the sole criteria for entrance into secondary schools. Secondary schools are advised to use multiple sources of evidence of students' achievement and holistic development at primary school to get a more complete picture of the students' abilities, strengths and weaknesses in informing acceptance to and placement in high schools." At the SPRCS, there is much to celebrate, and according to Mrs. Roxanni Kay, everyone is very "happy and very proud [of all the students]." Of the 58 SPRCS students that sat the exam, 57 passed, making this year's PSE another success story for the island's largest, most populated school. Rounding out the top five at SPRCS were Jamie Valentine (87%), Rosanna Guerrero (86%), Jacqueline Hernandez (82.3%) and Xanairi Xiu (81.3%). "In the end, all the hard work and the extra preparations paid off." While the upper level teachers were called upon to help prepare their students, it is important to realize that preparation starts from Infant I, and sets the background for all students. Every teacher in the school has been instrumental in helping achieve these results (as is the case for all schools in the country). For Alessandra, studying for the PSE was of utmost importance. She took advantage of the extra classes offered by the teachers at SPRCS, and for the subject she found most challenging, Math, she was able to get help via a tutor. "I was surprised to find that Math wasn't as difficult as I expected,"
"My hardest subject is Social Studies, and my favorite subject is Science. I was very surprised when I got my grades back and saw that I actually scored higher in Social Studies than Science...I was very shocked to hear that I scored so high! I wondered if it was really my name on the list!" Alessandra is planning on attending Muffles College in Orange Walk, where she feels she will have access to great resources. "I want to expand my horizons a bit more,"
said the aspiring biologist. For students who will be taking the test next year, Alessandra recommends that they simply try their best, and try not to stress out too much. Other schools around the island also received their results, and here are the breakdowns of their performance: Ambergris Caye Elementary School (ACES) - 5 out of 6 students passed (Emily Simose topped the class with 86%); Holy Cross Anglican School - 16 out of 20 students passed; Isla Bonita Elementary School - 8 out of 8 students passed (Michelle Cordon topped the class with 75.7%); New Horizon Elementary School - 25 out of 30 students passed (Daniel Gonzalez topped his class with 74.5%); and St. Peter's Elementary - 1 out of 7 students passed. Congratulations to Alessandra and her peers on a job well done.